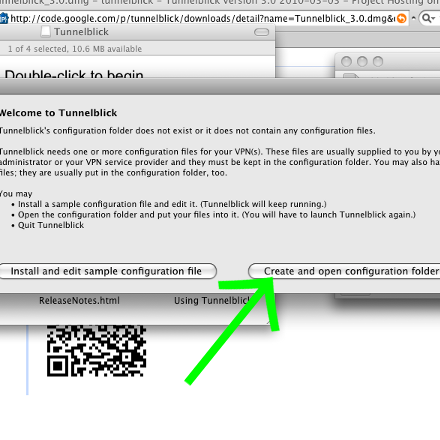 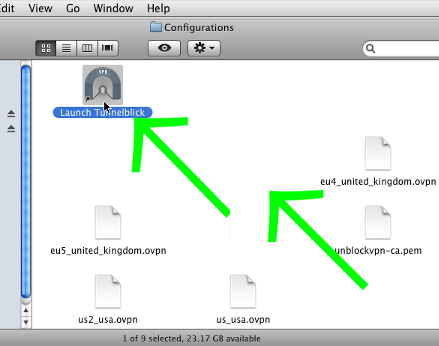 Click on "Create and open configuration folder"
TunnelBlick indicator should appear in right corner. 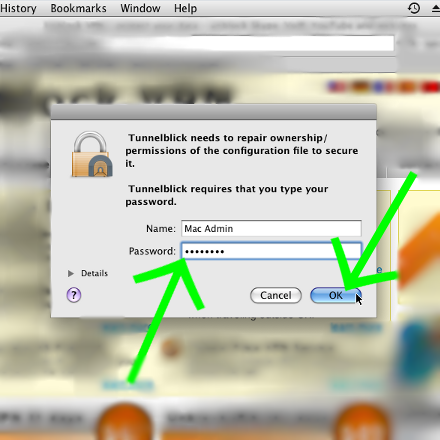 Click on it and choose custom GuardMyIP VPN server which you want connect to. 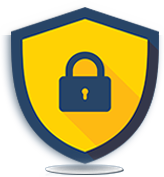 Enter your GuardMyIP Account details - your User name and Password (see welcome email), allow saving your password and press the "OK" button. 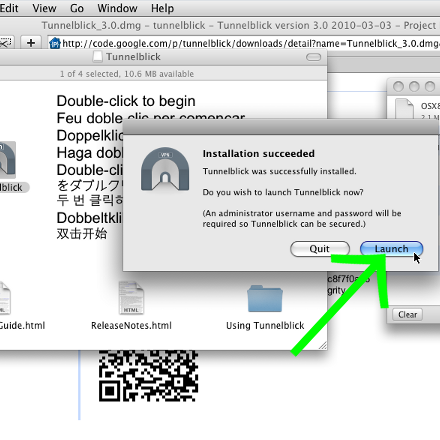 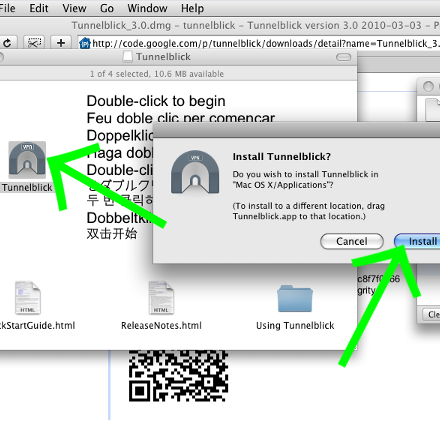 Wait several seconds until connection is dialed and then you can click on TunnelBlick icon. 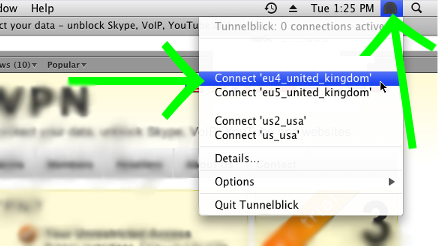 You will see 1 connection active. 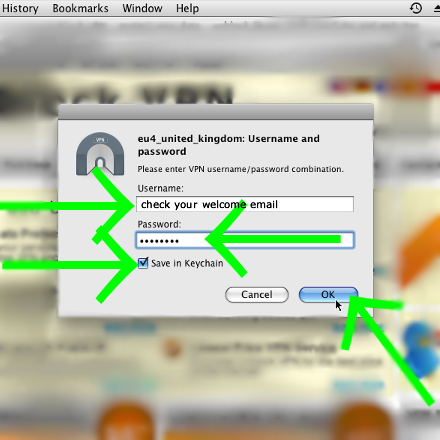 Now you can go here http://whatismyip.com/ and see that your IP has changed.